I have this weird habit of writing down quotes from books or famous people or random not famous people and then sticking them up on walls, to the refrigerator, my computer at work, inside of books, and anywhere else that I can stick tape to. I believe in the power of words, and I like to read and re-read the things that have touched me. So instead of sharing my accomplishments from 2013 or my resolutions for 2014, I’m going to share some of the notes that I scribbled to myself this year. 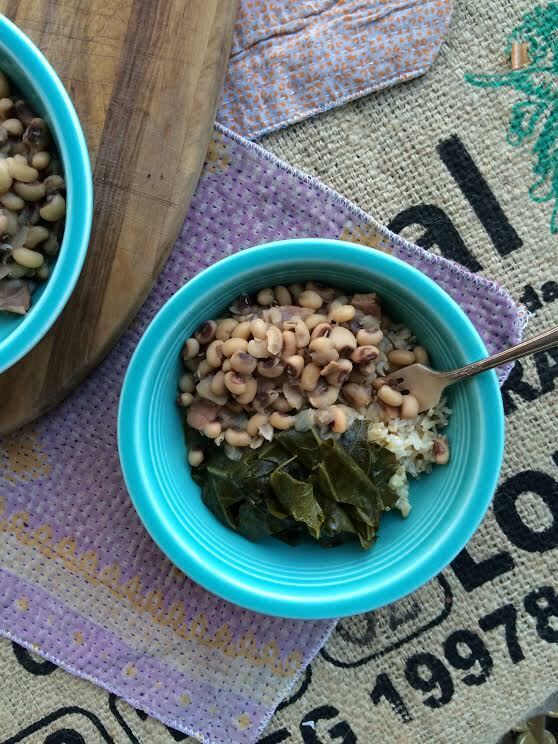 Now, go out to the store and buy some collards and black-eyed peas so that you can eat them on New Year’s Day. It’s good luck! If your beans are dry, soak them tonight so that they’re ready tomorrow morning. If they’re fresh, don’t do anything! To prep the collards, wash, wash, wash them (they’re gritty), remove the ribs in the middle of each leaf, and tear them into 1-2 inch pieces. In 2 large, heavy bottomed pots, brown the bacon or other porky-product (fatback, etc.) If you have a ham hock, skip this step and just put it in with the broth later. When the bacon is browned in the first pot, add the collards and 1 box of broth. Add more water to cover the leaves. Bring to a boil and then simmer for 2-3 hours. Taste the liquid after about a half hour and season with salt and pepper to taste. Drain to serve. In the second pot, add the diced onion and sautee until translucent. Add the black-eyed peas, broth and water as needed. Bring to a boil, season to taste, and simmer for 2-3 hours or until the beans are soft. 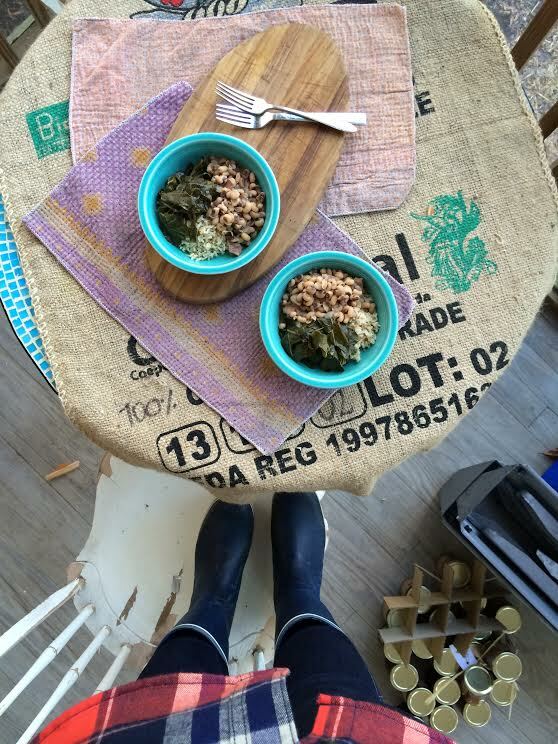 Serve black-eyed peas and collards over rice and with chow-chow if you have any. The folded collard leaves are supposed to look like money! Wishing you all a happy, healthy, and meaningful 2014!